With a view to a future emphasizing JU’s waterfront, University officials and donors have teamed to bring more than $500,000 worth of marine research, sailing and rowing vessels, and docks on the St. Johns River. 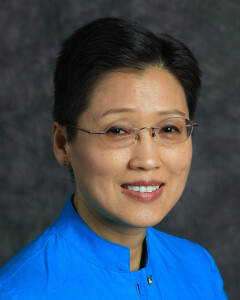 Jacksonville University announces Dr. Wenying Xu as its new Provost/Chief Academic Officer, welcoming a consensus builder renowned for her innovation and inclusion to lead its academic efforts as it takes advantage of unprecedented opportunities for growth and improvement. Nellie the dolphin, the beloved Jacksonville University mascot, former TV star and water-show performer who charmed generations of young and old alike while raising awareness of marine life, has died. ​Dr. Paulina Rippere, JU Assistant Professor of Political Science, has been selected for a prestigious Congressional Fellowship for 2014-15 with the American Political Science Association. Jacksonville University has been re-accredited, in good standing, for the next decade by the Southern Association of Colleges and Schools, further solidifying its top-tier status among private Southeast universities. Try to capture Tim Cost’s attention with the old locker-room adage “There’s No ‘I’ in ‘Team’,” and you’re getting close to the strike zone. How about “There’s No ‘I’ in ‘Students’ ”?